On Saturday 5th October, 2013, as part of Glasgoes Poetic and that week’s water-themed National Poetry Day celebrations, we welcomed one and all to our beautiful once and future swimming baths on Calder Street, Govanhill. Some of Scotland’s top poets came together in an ecvent that marked the finale of Harry Giles’ residency at the baths. 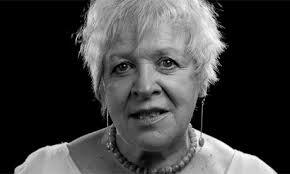 LIZ LOCHHEAD, poet and playwright, is Scotland’s National Poet. Hailing from Motherwell and living in Glasgow, her plays — including “Mary Queen of Scots Got Her Head Chopped Off” — and poems — including her selected poems, A Choosing, published in 2011 — have won her huge popularity in Scotland as well as international renown. RAB WILSON was born in New Cumnock in 1960. After an engineering apprenticeship with the National Coal Board he left the pits following the miner’s strike of 1984-5 to become a psychiatric nurse. He’s known for his owersettin in Scots of The Ruba’iyat of Omar Khayyam, and his latest collection, Life Sentence, was published in 2009. VIV GEE is a poet and comedian, and a lecturer in stand up comedy (wow!) at Strathclyde. She has MCd for T in the Park and Glasgow’s New Year, supported Mark Thomas and Henry Rollins, and was a finalist in Channel 4’s So You Think You’re Funny. HARRY GILES is a poet and performance-maker from Orkney. He’s currently based in Edinburgh, where he helps run the spoken word events series Inky Fingers. His debut pamphlet Visa Wedding was published by Stewed Rhubarb (2012); he is the former BBC Scotland slam champion (2009); and he’s currently Govanhill Baths Artist-in-Residence.